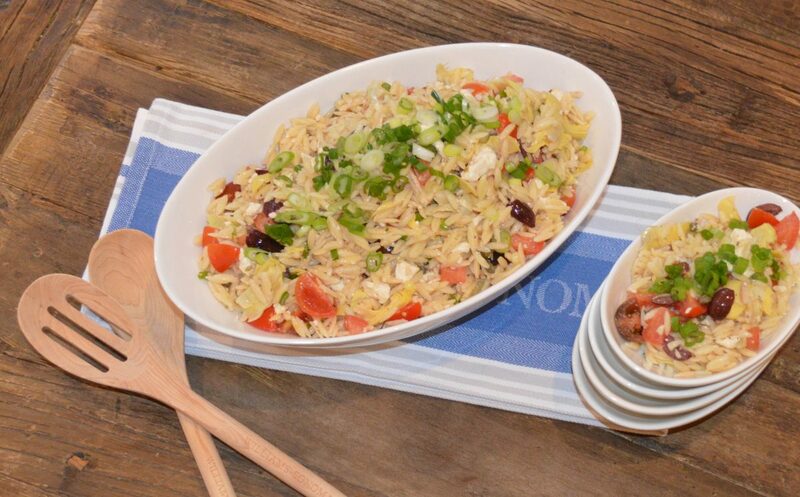 This light orzo salad is perfect for a summer supper or the perfect thing to bring to a party. The lemon vinaigrette is so fragrant and delicious. With the capers and dijon, there is the perfect amount of zip to the recipe too. The artichokes and tomatoes make this hearty and filling. Let the pasta cool and add ¼ cup of pasta water to it, so that it doesn’t stick together. Combine all ingredients and chill in the refrigerator for an hour.